At last a new option for the defender! 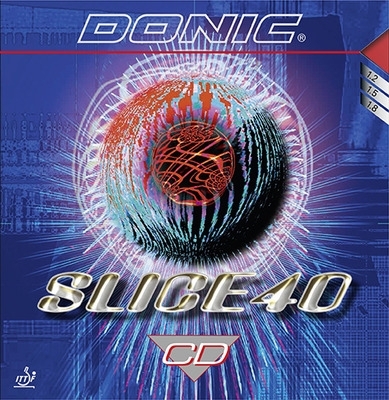 The Slice 40 CD has been especially produced for the modern defender / all-rounder. Developed for hard pushing and shopping it is also suitable for controlled top spin. A very grippy and tacky top surface rubber enables the player to produce a high quality and quantity of top spin, causing problems to opponents. Defenders are presented with a new weapon and all-rounders a reliable partner with this new rubber. Recommended for the modern defender who wants a very gripy top surface for their backspin shots but also enough speed for counter topspin when the opportunity presents it self!